A visual approach to Introduction to Nutrition for Non-Majors. The 4th Edition of Nutrition & You provides students with a personalized approach to understanding nutrition and teaches them to become informed consumers of nutrition information through interactive lessons, practical applications, and visual study tools. Joan Salge Blake writes in a very engaging style, addressing the student directly, using visual analogies in order to explain concepts, and captivating students with humor. Blake encourages students to think critically and relate the science of nutrition to their own dietary habits, enabling them to separate fact from fiction and to distinguish high-quality nutrient sources from those of lesser quality. New additions to the 4th Edition include a clearly defined learning path with the inclusion of learning outcomes throughout the chapter, cutting-edge content on the latest dietary guidelines and Nutrition Facts Panel, along with food waste and sustainability, making the text relevant and interesting for today’s students. Visual Chapter Summary learning objectives, a newly revised suite of Nutrition animations, mobile-accessible and improved NutriTools, new Health Connections case studies, and new author-narrated Focus Figure walkthroughs have all been added to help students learn more effectively. This title is also available with Mastering™ Nutrition--an online homework, tutorial, and assessment program designed to work with this text to engage students and improve results. Interactive, self-paced tutorials provide individualized coaching to help students stay on track. With a wide range of activities available, students can actively learn, understand, and retain even the most difficult concepts. Note: You are purchasing a standalone product; Mastering Nutrition does not come packaged with this content. Mastering Nutrition is not a self-paced technology and should only be purchased when required by an instructor. Students, if interested in purchasing this title with Mastering Nutrition, ask your instructor for the correct package ISBN and Course ID. Instructors, contact your Pearson representative for more information. Nutrition & You , 4th Edition is also available via Pearson eText, a simple-to-use, mobile, personalized reading experience that lets instructors connect with and motivate students — right in their eTextbook. Learn more. Joan Salge Blake is a Clinical Associate Professor and Dietetics Internship Director at Boston University's Sargent College of Health and Rehabilitation Sciences. She teaches both graduate and undergraduate nutrition courses. She received her MS from Boston University. Joan is a member of the Academy of Nutrition and Dietetics (formerly the American Dietetic Association) and the Massachusetts Dietetic Association (MDA). She has been a presenter and Presiding Officer at both the AND Annual Meeting and the MDA Annual Convention and is a guest lecturer at both the Boston University Goldman School of Dental Medicine and the Boston University School of Medicine. She was previously named MDA's “Young Dietitian of the Year” and is the past Director of Education and Nominating Committee Chairperson for the MDA. She currently serves on the MDA board. Joan has received the Whitney Powers Excellence in Teaching award from Boston University and the Annie Galbraith Outstanding Dietitian award from the Massachusetts Dietetic Association. In addition to teaching and writing, Joan has a private practice specializing in weight management and lifestyle changes. 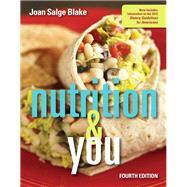 Joan is often asked to translate complex nutritional issues in popular terms. As an AND National Media Spokesperson she has conducted over 850 media interviews, and is a contributor of nutrition articles to a variety of magazines and news outlets.